There are many reasons why people struggle in completing the work they’ve set out to do. Often, they just feel like they simply have reached an impasse, or the end of their abilities. There’s nothing more that they can do because their resources have gone dry. The real deal here is this: There’s no limit to what people can do. The creativity block is really just a pile-up of mind clutter that prevents the flow. The good news is that there are ways of tearing down walls and moving past creative blocks. Among your best options are guided imagery meditation practices. First of all, these exercises take away focus on limitations. The voice inside you that says you have nothing more to give is silenced. Attention and energy are then redirected toward breathing and being in a place where everything is possible. It’s all about the moment and there’s nothing more important than establishing a steady flow of breaths — inhaling the good and releasing the bad. Focused and steady breathing will relax you and open your mind. When your mind is open, you can now entertain the ideas that flow. Acknowledge each of them. No idea is stupid. Afterwards, let your mind conjure images that outwork those blocks preventing you from moving forward. You may even visualize physically breaking them down. In so doing, you completely rid yourself of negative emotions or thoughts. You prove your strength against the force fighting your natural creativity. Once the block is broken down, fish out those ideas that can take you closer to your objective. The beauty of this strategy is it can correct your mindset. By clearing your mind first of all the clutter, you create a clean foundation for your ideas to build upon. It’s all about creating room for creativity to flow because, as mentioned earlier, people truly do not get depleted of it — it’s just prevented from becoming released by different factors. Likewise, these guided imagery exercises provide the side benefit of restoring good health. When you’re healthy, the mind functions better, allowing the body to easily acquiesce to its command. 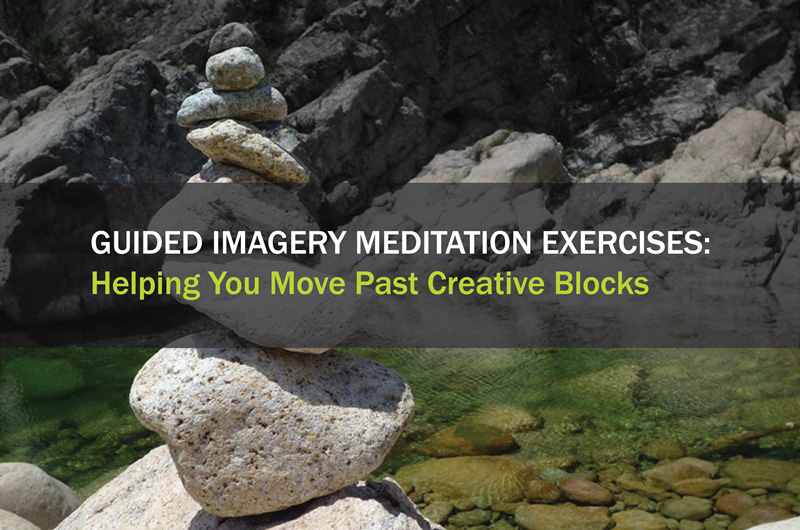 It goes without saying that guided imagery meditation exercises create a solution against blocks. These help establish a dependable routine that works whether you’re abundant with ideas or lacking in inspiration. The routine programs you to focus on what needs to be done, regardless of whether there are distractions.